For more than 20 years, A Great Choice Lawn Care & Landscaping has been providing residents and businesses in Binghamton, NY with quality lawn care and maintenance. Our company has dedicated more than two decades to providing the best quality lawn care services in the area, and we pride ourselves on our ability to ensure excellent customer services as well as build impressive working relationships within our community. Our work is something we are proud of – we want all our yards to be not only aesthetically pleasing, but exactly what the customer is looking for in terms of satisfaction. Our work is important to us because we want our customers and the community of Binghamton, NY to enjoy the fruits of our labor. Working to ensure that you have the kind of landscaping you’ve always wanted is our goal, but ensuring that it always looks good and shows the community of Binghamton, NY what it is you want to convey either personally or professionally is what we do best. What people see first when they approach your home or office building is your lawn. If your lawn does not look well-maintained or put together, opinions are formed. Those opinions might be just that – opinions – but they can have a long-lasting negative effect on how your neighbors, potential buyers if you ever decide to sell, or clients view your business. Our goal is to ensure that your landscaping needs are met 100 percent and that your lawn looks professional and lovely at all times. From lawn professional mowing services to seeding and ensuring that weeds do not overtake your yard, we do it all. Count on us to make sure your flowers bloom, your hedges are nicely trimmed and your lawn is maintained following the end of each season into the beginning of the new season. Our goal is to ensure that Binghamton, NY residents always have a nice view. The biggest portion of any Binghamton, NY resident’s yard is the lawn. This area is not only the largest, but it’s also the most noticeable. You can have the nicest landscaping in all of Binghamton, NY, but if your lawn is not properly fertilized and growing correctly, none of that matters. It doesn’t matter if the lawn looks as if it is not being cared for. Our fertilization services ensure that all our clients are happy with their lawns and that their grass is growing thick and beautiful, and that there is always a soft, comfortable place on which your kids and dogs can play happily in the grass. We have families, and we know that it’s important for everyone to have a place to play when they’re out in the yard. At the beginning of spring, every homeowner in Binghamton is looking forward to getting outdoors and mowing their lawn for the first time. This rite of passage is your first introduction to warm weather and a gorgeous time of year, and it’s one that makes all of us feel good about life. However, by the second or third time in just as many weeks that the lawn requires mowing, most homeowners are over doing it themselves and want someone else to do it for them. 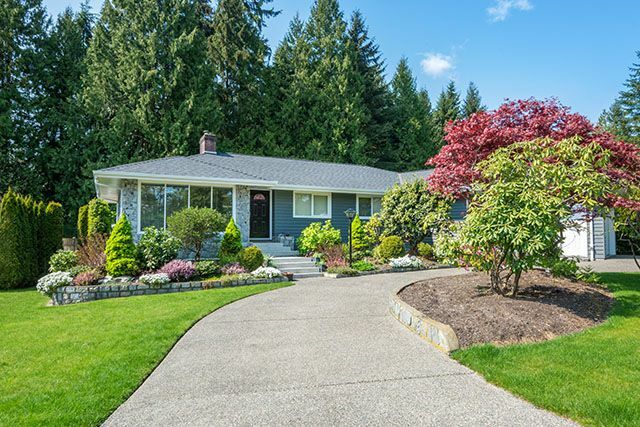 The benefit of using our company and our lawn care professionals to mow and maintain your lawn is the knowledge that you never have to find the time in your already busy schedule to do it yourself, and you never have to worry that your lawn is the eyesore of the neighborhood because you simply haven’t the time to do it one week. Spend that quality time with your family and enjoying your hobbies, and let us do the dirty work maintaining your lawn and mowing your grass for you. Whether you are looking for something that is aesthetically pleasing or just something that is used for a general purpose, our landscape professionals are the best in the business when it comes to retaining wall construction. Our professionals have more than 20 years experience constructing retaining walls in Binghamton, NY, and our customers are more than happy with the results of their retaining walls. Designed with both practical purposes as well as decoration in mind, our professionals work with you to create the look and functionality you are looking for so that you are 100 percent satisfied. With more area for plantings and more useable space in your yard, retaining walls are often the perfect landscape solution for those who are looking to make things a little more interesting, a little more appealing and a little bit different than what many people expect of your landscaping. Most homes are equipped with a concrete walkway leading to the front door from the driveway, but that’s boring. Walkways with unique features such as pavers or even color are more appealing, more pleasing and much more unique. Our company has more than two decades of professional patio and walkway installation in our past, and we know exactly what your home needs to ensure that it looks not only amazing, but functional as well. Perhaps Binghamton, NY residents aren’t able to enjoy the great outdoors when it’s freezing cold outside, but the rest of the year the weather provides the perfect opportunity for us to get outside and enjoy the fresh air on your custom patio. Let our professionals help you create the outdoor living space of your dreams. Nothing is more exciting than a water feature in the yard. Whether you are looking for one at home or at the office, there is nothing quite as soothing and peaceful as a small pond or waterfall or combination in the yard. Not only does the sound of the water soothe your soul and make you feel relaxed, it can make your clients and customers feel right at home as they are entering your business. Even at home, your family will enjoy the privacy and aspect of a small pond or water feature that encourages birds to come and stop for a drink, and the family to want to sit outside with a book, a cup of coffee or even a glass of wine to end the day with something so soothing and relaxing making lovely sounds in the background. We can customize your water features to meet your needs, ensuring that your home is given the small spice it needs to look and feel as relaxing and upscale as possible. If you are in the market for the most trustworthy, most professional and most experienced landscape design company in Binghamton, NY, give us a call today. 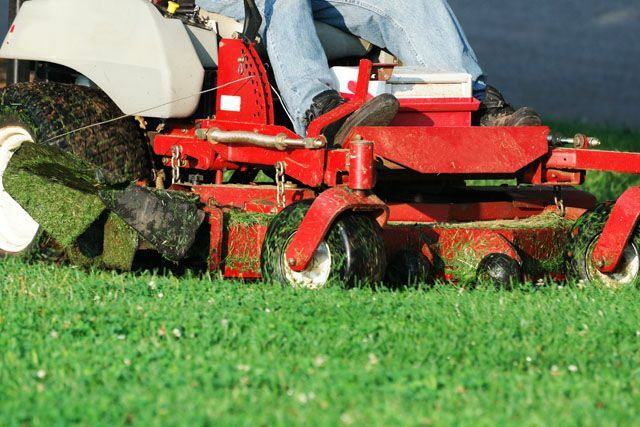 Our team of service professionals at A Great Choice Lawn Care & Landscaping is here to help. Our professional landscapers will meet with you to discuss what it is you want and need and we will then create a plan that is just right for your family or business. Once you have approved our designs, we are happy to get to work creating the dream landscape that you’ve always wanted. Let our professionals work for you to ensure that you are always happy with the results. From installing what you need and want to maintaining it throughout the year, our team of service professionals is well-rounded, experienced and can handle any of your professional or personal landscaping needs. Give our company a call today to schedule an appointment to begin the process of creating your dream lawn now.